THE third and final time the Durham Pals went into the frontline trenches ahead of the Battle of the Somme was by far the toughest. In their first two spells at the front in northern France, the 18th Battalion of the Durham Light Infantry held the line at Auchonvillers, which was comparatively quiet. This time around they were posted to a new sector just north of the Serre-Colincamps road, close to their previous trenches, but significantly more dangerous. In front of them stood the fortified village of Serre, turned into an impregnable fortress by the Germans, and enemy machine-guns built into the defensive trench system known as the Quadrilateral. They did not know it yet, but this was the Pals’ first glimpse of the killing ground where so many of them would lose their lives in just a few weeks. 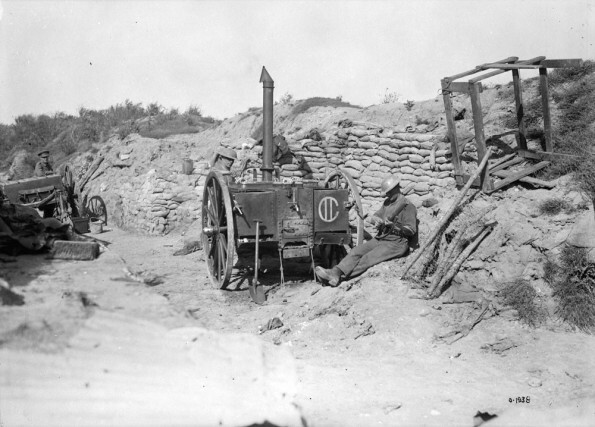 The battalion took over the frontline trenches on May 14, setting up home in trenches described as “very inferior” by their commanding officer. For the next six days, they endured almost constant sniper and mortar fire which took its toll on their ranks. Lance-Corporal Alex Russell, the Paisley-born battalion boxer living in Darlington at the outbreak of war, was killed on May 15, aged 29. Several more were wounded, including Private William Weatherley, one of the Bede College teachers, who was hit on May 19 and shipped home. The Pals were withdrawn from the frontline on May 19 and moved back to Colincamps, a little village a mile or two behind the Line, but during their five-day stay, there would be no respite from the constant danger. German artillery was now routinely pounding the British reserve positions. In his war history of the battalion, Lieutenant Colonel William Douglas Lowe wrote: “This village was now becoming very unhealthy: Boche aeroplanes were active and visited us frequently, but only for observation, while anti-aircraft guns of both sides were equally dangerous, though usually the infantry preferred German anti-aircraft shells which were high explosive and burst into small fragments, while ours were shrapnel and, whether duds or empty cases, were equally unpleasant for the earth-dweller. The artillery barrage which destroyed D Company’s field kitchen was described by Private Charles Todd in a letter home to his family in Browney Colliery, near Durham. He wrote: “We had a lively time of it in the village where we are billeted. One afternoon, four shells were fired in but we all rushed for the cellars.